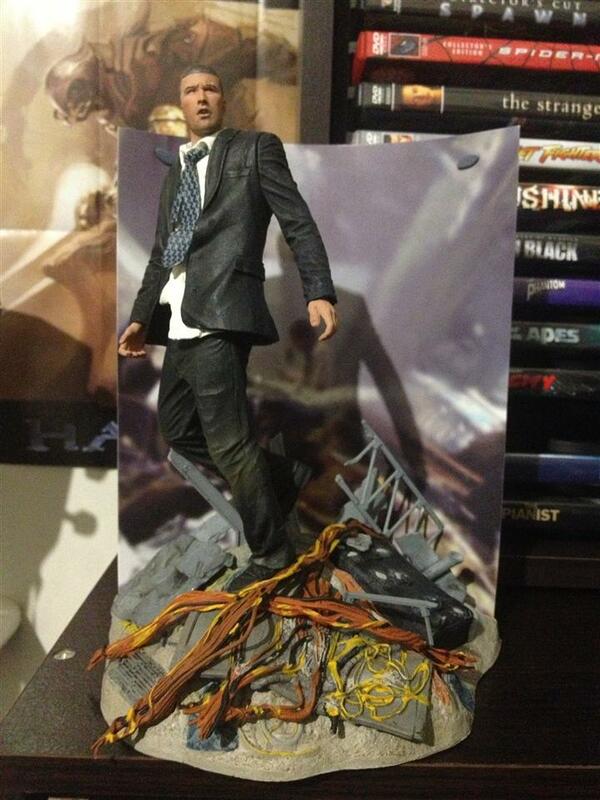 Mcfarlane Jack Sheppard collected in Figure Collection by Tayler Rowe - Collected It! Despite what all my friends, the internet and strangers say, this was a great TV show. I loved LOST and this figure brings the excited fan boy inside out to play. The Figure is a pretty close resemblance to Mathew Fox and show him in a very stunned and scared look the exploding plane around him. This is the first figure in my collection to have a cardboard back drop and I must say it looks pretty nice, adds a very different touch to the figure and my collection. The base looks great with wrecked parts of plane thrown across the sand, but the colors and textures of the base don't do the figure justice, a little too plastic and cheap look. But when push comes to show, all the colors and tones thrown into this figure automatically cancel all the bad out, there's just so much going on in this display that it looks very manic. Once again, great job McFarlane.